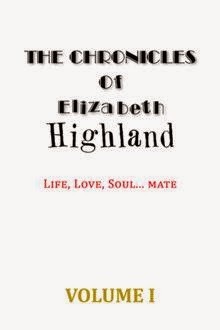 The Chronicles of Elizabeth Highland Book Feature – Win a $25 Amazon Gift Card! Elizabeth Highland worked as both a designer and manufacturer in the sporting goods industry for twenty-five years. Her products sold in Canada, the United States, Europe, Korea and Japan. As well, she dabbled as an actor in film and improv. Travel has always been a part of her creative inspiration. In recent years Elizabeth lived in Peru and travelled extensively throughout South America. Just back from an adventure in Istanbul, Jerusalem and Jordan, she is currently working on her second novel THE CHRONICHLES OF ELIZABETH HIGHLAND, VOLUME II… The Journey Continues. Elizabeth holds both a Bachelor of Journalism from Ryerson University and a Bachelor of Education from the University of Toronto. Elizabeth presently lives in Toronto with her dog Little Bear. ← Gray Skies by Elle Emtage Book Feature – Win a $25 Amazon Gift Card!